Just try to survive. That had been Skylar’s goal since she discovered that she had died at birth and become a host to a very powerful spirit shade. She was a werewolf with the ability to manipulate magic, and that made Skylar an enigma that most viewed as either an asset or a danger. Being an anomaly in the otherworld was a hazard, and last year she had barely survived. After declining membership in the Midwest Pack, Skylar naively thought she could return to a normal life and fade into obscurity. She was wrong. After saving the life of a pack member who was brutally attacked, Skylar finds herself pulled back into the otherworld to help the Northern Seethe and Midwest Pack find the person responsible for the recent attacks on their people. The situation is further complicated when the Seethe hires Chris, a hunter and the pack’s Beta’s ex. With her connections and extensive knowledge of the otherworld she should have been a welcomed asset; but her turbulent history with the pack, complicated relationship with the Master of the Northern Seethe, and the lingering feelings between her and the Beta create conflict between the enemies-turned-allies. Once again, Skylar must negotiate the lies, secrets and strange politics that govern the otherworld while struggling not to draw attention to her abilities. 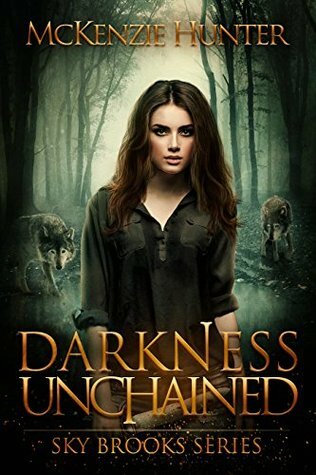 It falls apart when she inadvertently changes a peculiar vampire and Chris discovers the link between Skylar and the culprit responsible for the attacks on the vampires and were-animals. Now Skylar wonders if she will be able to survive the otherworld this time.